This Saturday’s letter is K.
I knew I would be writing about this topic today. Could it be that he is feeling neglected because of my preoccupation and dedication to A-Z? No, I’m sure he was just trying to be helpful. hmmm. For the last three years it has been one of my “number one" obsessions. Yes, I do believe you can have more than one “number one” obsessions. 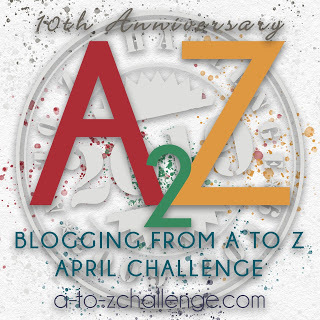 For instance, during the A-Z challenge both of my obsessions share the number one spot. I have been through a hard time lately which has caused me a great deal of stress and anxiety. I’ve tried Yoga, exercise and guided mediation. None of those things worked for me. Today, I am writing about something which has provided me and continues to provide me with the utmost comfort. It is my Zen. I envy those who are naturally creative. I wish I could draw or paint. I’ve tried, but what my “artistic” eye sees doesn’t quite translate the same way onto a sketch pad or canvas. I fancy myself spotlighted on a stage in front of a large crowd, tossing my hair and gyrating to the beat, (no tweaking, though). My imaginary grand production is explosive with backup singers, dancers and all. But alas, I can’t carry a tune and anyway my body just doesn’t move that way. I’m more of the wedding Tarantella group dancer. What I am writing about today satisfies my creative needs. I am attracted by bright colors and sparkly things. But, because of my shyness or fear of being the center of any attention, my wardrobe consists of nondescript shades of blacks and grays. An additional reward that I get from my topic for today is that I can touch and squish neon pinks and bright greens. I can pet soft lavenders and stroke berry reds. If I want to, I can even choose silver or gold. The best thing about my subject is that after I have picked out the perfect color, quietly and peacefully enjoyed hours of uninterrupted Zen, proudly marveled at my progress and then throughly enjoyed its final beauty, I have the ultimate pleasure of tying it all together, placing a big fancy bow on it and giving this gift to someone else to treasure. Perfect! My daughter tried to teach me to knit. She's not a good teacher, or I'm a crummy student. Probably the later. I failed at knitting, but I can crochet! I find that much easier. I like to crochet also. It does seem easier and faster. I adore knitting, and I really wish I had taught myself more than just making a simple blanket. There are so many clear videos on different knitting techniques. You should check them out. That is true, Lynda. I think I just have so many other projects going with drawing and painting, that making time for knitting has not happened. Maybe one day. You are talented and creative. Good for you. Have a great day. Thanks. Hope your day was a nice one also! I love the shawl. Knitting is great, isn't it? Yes, I cannot say enough about it. Every time we go away, I always check out the local yarn stores. So sad that so many of them have gone out of business. That’s okay, I have had many projects that started out as one thing and either wound up as a smaller version or stuffed into the back of my closet never to be seen again. Lovely! My granny was a knitter. She made us many afghans and sweaters. 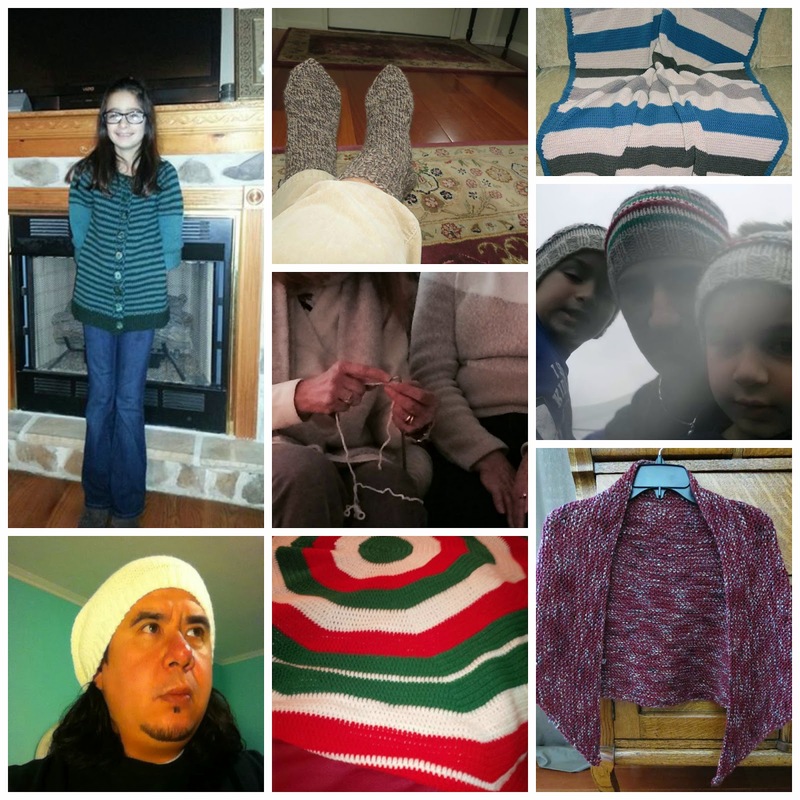 I love the shawl in your pictures. Thank you! I am trying to get my granddaughter interested. It was amazing how fast she picked it up, but the interest didn’t last very long. Perhaps one day, though, she will remember how her grandma was a knitter. Yes, I know needle arts not for everyone. Knitting gave my mom a lot of comfort also during the last months of her life. Even though she could barely make it through a couple of stitches, she always had to have her knitting by her side. I think that’s going to be me.